His wealth and his business dealings are not a matter of privacy because of his own choice to run for president. The fact he has not been transparent to a minimum degree and has not properly divested himself of his business interests SHOULD concern any good, thinking citizen. But then there is Trump supporters. All Republicans, but particularly Trump, have a lot to fear. They've been obstructionists covering up for Trump for two years. As the saying goes, 'the chickens are coming home to roost' and what goes around comes around. Although Trump was absolutely frantic in the weeks up to the mid-term elections, he pulled every trick out of his bag of tricks to get voters to vote Republican. "A vote for (insert name) is really a vote for me!" Trump never really understood what would happen if Democrats gained a majority in the House. But, he's about to find out. Jerry Nadler is Chairman of the House Judiciary Committee. Matt Whitaker is scheduled to appear before this committee on Friday and as insurance he has a subpoena "in an abundance of caution" in his back pocket to ensure Whitaker testifies and doesn't rely on executive privilege to avoid answering questions. If Matt Whitaker doesn't show up, Jerry Nadler will use that subpoena to force him to appear. Trump's history with Rep. Jerry Nadler of New York dates to the 1980s, when they battled over Manhattan real estate while Nadler was in the New York State Assembly before he was elected to Congress. In his 2000 book, "The America We Deserve," Trump called Nadler "one of the most egregious hacks in contemporary politics." "This guy wanted to put a railroad yard on the same property where I wanted to build a park and create the best middle-income housing in New York," Trump wrote in his book. If Democrats do to try to impeach Trump, Nadler will be one of the most important Democrats in the caucus -- and will likely face the breadth of Trump's backlash. Elijah Cummings is the new Chairman of the Oversight and Government Reform Committee. He thinks the president violates the Constitution’s emoluments clause on a daily basis, and sees an abnormal tolerance for corruption and misconduct emanating straight out of the Oval Office. Elijah Cummings is just as troubled by the notion that the Republican Congress had fallen flat on its constitutional duty to check the administration. As Chairman, Elijah Cummings now has subpoena power and the ability to call as many hearings as he wants on whichever topics he chooses. Maxine Waters is the Congresswoman that's going to sting the worse since it was Maxine Waters that has been the target of his bigotry for two years referring to her as 'low IQ Maxine'. Maxine Waters is now the Ranking Member of the Financial Services Committee and she has the power power to subpoena, not only Trump’s personal tax returns, but she can subpoena bank executives for investigations. Richard Neal is Chairman of the House Ways and Means Committee Chairman. It will be Rep. Richard Neal who will have the job of asking for Trump's tax returns. While modern presidential nominees have publicly released their returns, Trump has defied the norm, which Democrats argue must be remedied.Under IRS rules, there are only three people on Capitol Hill who can ask the Treasury Department for the President's tax returns: the chairman of the Senate Finance Committee, the head of the Joint Committee on Taxation and the chairman of the House Ways and Means Committee. Neal is the only Democrat. Richard Neal is building a case to ask for Trump's tax returns. Senator Adam Schiff is now the Chairman of the House Intelligence Committee. Trump may regret referring to lawyer Adam Schiff as Sleazy Adam Schiff, Liddle' Adam Schiff and most recently "little Adam Schitt". Adam Schiff served in the House Intelligence Committee last year as co-Chair with Devin Nunes. Adam Schiff has accused Republicans of failing to investigate the ties between Trump's team and Russia, and he's promised to restart his committee's Russia investigation in several areas. Among them: Schiff wants to investigate questions about Russian money laundering, to learn who Donald Trump Jr. was calling as he set up the June 2016 Trump Tower meeting and to interview officials the committee has yet to speak to, like Michael Flynn. You have never read the tax returns of any president you've voter for. hey, nothing to hide, nothing to worry about, right? that's what Republicans told me back when i was a libertarian, anyway. It is both reassuring and refreshing that we get at least half of Congress who finally understands the Constitution and is ready to undertake their oversight responsibilities after the two year abdication of the same. Right. He has released financial disclosure docs regularly SINCE TAKING OFFICE, and DONATES his SALARY. Ha! Good point. 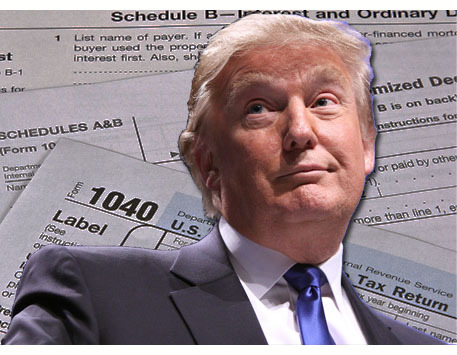 I have never wanted to see the tax returns of any presidential candidate I've ever voted for. Probably because none of them have ever kept them hidden. Funny how that works. I wanna see the tax returns of Nancy Pelosi. Every single year since she started earning a paycheck. Is she running for President? But you dont want to see the Presidents ta return?